Due to increased demand, citywide rental rates have been steadily climbing, and during 2014 alone they grew by an average 10.6 per cent. Higher increases were evident in commercial properties in the city’s business district. Vacancy rates have decreased from 12.9 per cent in 2013 to 11.9 per cent in 2014. While year-on-year leasing activity levels decreased during 2014, the figures are set to increase once again during the following 12 months. According to the forecast made public by researchers at Cushman and Wakefield, the future outlook for this sector of the real estate market will continue to be bright in the near future. It is expected that 9.4 million square feet of office space will be released in Houston during 2015. The cost of Class A office space in Houston has increased by nearly 11 per cent over the past 12 months. Currently, average rental values across the city are $37.14 per square foot. Office space in the city’s business district is in high demand, and this has prompted a 14.4 per cent increase in rental values, which now average $43.7 per square foot. Rental values for out of town office floor space have also been growing, although at a more moderate pace and at the time of writing, average values in suburban offices were $25 per square foot. The highest rates outside the CBD are in South Main ($41/sq ft), whereas the lowest are in Clear Lake ($23.6/sq ft). Vacancy rates are high in south west Houston (18 per cent), Hillcroft (24 per cent), and FM 1960 (19 per cent). The lowest vacancy rates belong to Woodlands/Conroe (7.7 per cent), Katy Freeway (6.7 per cent) and Montrose (3.9 per cent). Given Houston’s’ growing medical industry, the local property market has a significant amount of specialised office space that suits the needs of medical companies. According to Colliers International, the medical office space market is experiencing rapidly decreasing availability rates, as demand continues to rise and to outstrip supply. One of the most significant office developments to be completed this year is the building at 925 North Elridge Parkway. This property has been fully pre-let, whereas the building at 609 Main (in Houston’s central business district and due for completion in 2016) is still accepting offers. For further information on office space availability in Houston click here. 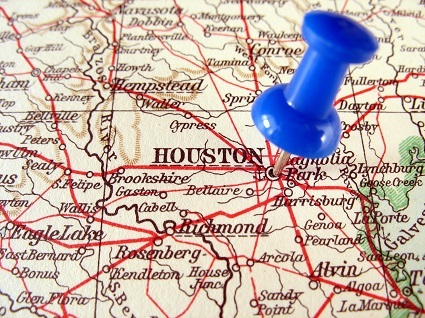 Read our Spotlight on Business in Houston. This entry was posted on Monday, January 12th, 2015 at 12:32 pm	and is filed under CRE, Houston, Texas, Trends and Statistics. You can follow any responses to this entry through the RSS 2.0 feed. You can leave a response, or trackback from your own site.